Besides having one of the dumbest names in video game history, You, Me and the Cubes actually might not be as bad as that name implies. Although I have not played it, I have seen several videos of this title. The goal is to drop humans on a three-dimensional cube without it tipping over (think balancing a seesaw). 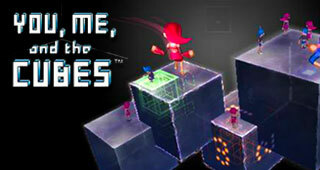 This puzzle game offers unique twists like having multi-tiered stages and the dropped humans can actually help each other by pulling each other up and can even cling to the edges. It is an interesting concept that at the very least seems suitable for a downloadable outlet like the WiiWare service. 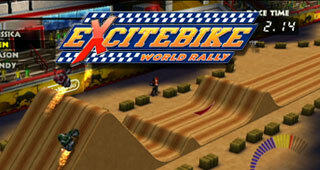 Out of the three games offered this month, I must admit that I am most excited about Excitebike: World Rally. The next time I log into my Club Nintendo account, I will be ponying-up the 200 coins for a download code. Using a new 3D perspective and graphics, World Rally seems like the classic Excitebike that I remember from my childhood but with WiFi multiplayer. Unfortunately, I do not think there is same-sofa multiplayer, but at least players can now save their own custom tracks. And who can forget that memorable music! 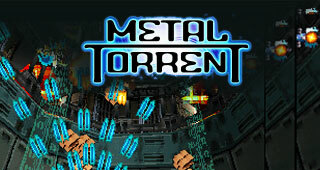 Unfortunately, I do not know much about Metal Torrent other than what I have seen from the game’s trailer. It seems like another bullet-hell shooter that will either frustrate or become highly enjoyable depending on your opinion on the genre. But given the limited scope of the classic shooters on the system, it might be worth a shot (bad pun intended). Like I mentioned before, I am really hoping for Nintendo to offer 3rd party titles in the near future. I want a free Castlevania Rebirth and Shantae, dammit! But as the saying goes, beggars cannot be choosers. Looking forward to May.